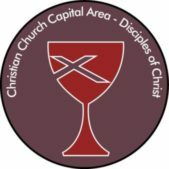 The Christian Church Capital Area (CCCA) Outdoor Ministries program hosts seasonal events for all ages. You can find retreats and weekends for youth, young adults, seniors, women, men, and families— all affordably priced and centered on deep spiritual growth, conversation, and community. Pre-School/ Discovery Camp – For all families with preschool kids. A weekend introduction to camp. Come Friday night or Saturday morning and stay until Sunday morning. Early Elementary School/ Pioneer Camp – For kids entering grades 1-3 in the Fall. Parents are welcome to join their camper for the weekend. Older Elementary School/ Junior Camp – For those youth entering grades 4-6 in the Fall. Jr. High/ Middle School/ Chi Rho Camp – For kids entering grades 7-9 in the Fall. Created 2 B Me – Specifically designed for all students entering grade 9 in the Fall. Created 2 B Me Camp explores relationships, self image, & sexuality from a Christian perspective. High School/ CYF Conference – This Conference is for those entering grades 10-12 in the Fall and 2019 grads. 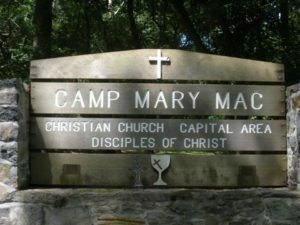 Family Camp – The right mix of programs, structured activities, worship experiences, & free time for the whole family. New FC 2 Sun-Wed & Wed-Sat Sessions now avail. BB Aug 4-7 or Aug 7-10 – Call for new Rates on these. Fall Family Retreat — This new Family Retreat is being held at Camp Mary Mac. It is limited to six family groups. Each family group is assign a Cabin at one of the three 2-Cabin campsites. Cabins sleep up to 10 in five bunk beds, so bring your extended family (even your best friend and family) to fill up your assigned Cabin. Program materials, lodging, and four meals are included. Young Adult Conference (YAC) – For adults 18-30, single or married, who are at least one year out of high school. Adult Conferences – For adults, these events are held during the week in the spring and fall for a quieter beach experience. Bethany Retreat – New program, new focus, still great family fun for a long holiday weekend. Regional Women’s Retreat – Programs designed for women age 13 and over; includes sessions on various topics of interest plus time for worship and relaxation. The Full-time (FT) Rates includes two nights lodging, 4 meals, & program fees. Part-time (PT) Rates include 4 meals and program fees – but no lodging. Childcare for youth 12 and younger provided with advanced request. We now offer online Camper Registration via our partnership with CampDoc.Com, a nationally known, secure web-based Camper Application & Payment site.